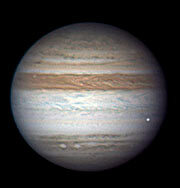 Using data from observations by two amateur astronomers (Anthony Wesley from Australia and Christopher Go from the Philippines), as well as data from ESO’s Very Large Telescope and several other ground-based telescopes, scientists have found that the object seen entering the atmosphere of Jupiter on 3 June 2010 was a meteoroid roughly 8–13 m in diameter. The science paper is available on this link. ESO’s VLT has also been used to study the aftermath of the first and very spectacular unexpected Jupiter impact that was also first spotted by Anthony Wesley on 19 July 2009. By using the VISIR instrument Leigh Fletcher and his collaborators have found that the way that Jupiter's atmosphere responded to the 2009 collision was subtly different from the Shoemaker-Levy 9 impacts in 1994. The shockwave of the 2009 event triggered a chain of chemical reactions in the atmosphere that can be best explained if the collision were due to an object with low water content, such as an asteroid. The science paper is available on this link. If these kinds of events occur as often as these recent observations suggest we can assume that Jupiter is likely to be hit several times a year. 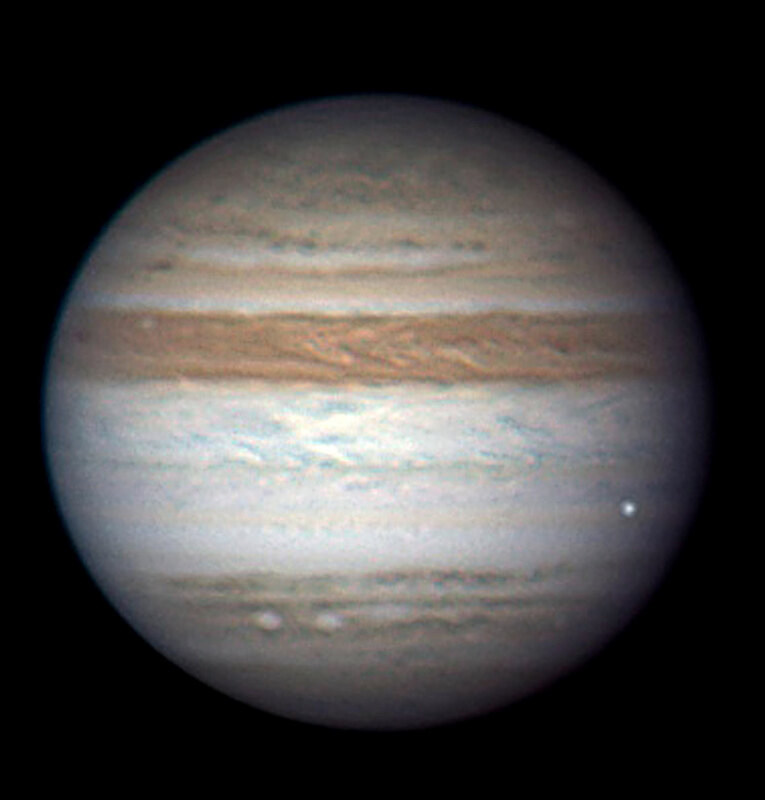 Amateurs with webcams are now monitoring Jupiter constantly and turning “Jupiter impact watching” into a vigorous research field, which can help us understand the small bodies in the outer Solar System better. This may, in turn, help us evaluate better the threat of impacts by Near Earth Asteroids to the Earth. Escuela Técnica Superior de Ingeniería Alda.